Thanks Andrea for the set. I managed a 40.40 with it.Btw is cutting allowed? Real cutting is not allowed of course ;),but I think going wide at the exit of the 'variante alta' chicane in sector 2 is allowed -using the tarmac there after the chicane-, since it always was at most of the previuos events.. -and maybe also driving a bit on the green tarmac of turn8 'Piratella' (that quick downhill left.hander) & turn10 'aque minerale' (at the uphill exit of this turn, the turn previous the chicane) is ok too -but not much more than that !, do not take and treat even the grey sections there as your limit, try to stay on the green section at least-, such things were allowed in the last Abrath race @ Imola. Andrea may correct this/me, if those two green tarmac sections aren't allowed anymore. Generally you may also use a little bit of the green tarmac at the last two turns 'Rivazza' as well, but more like on no purpose. Yesterday I tried Andreas setup too, it was a stable and constant to drive set for me, but for me personally the high camber values (and also the high tire pressures) gives too less tire grip and the high caster is not my case either (I'm using 6 at this car). But every setup is a thing on its own, because the combination off all specific settings/the correlation among certain settings makes it good as a whole, so you can't say -like me- this value is good or bad. [/ blabla 'on'] -It was just not quick enough to handle for me personally (it feels and is too stiff for my current style), because I like to keep settings and feeling more basic&simple [...equal 'HZ-values' for front and rear, if possible equal ride high front rear too, for the best basic balance, -1.000(front)/-0.100(rear) camber, less tire pressure and -beside the different sping stiffness- also same and certain (personal way of) suspension values for front and rear (at least at the Formula cars). But I also learnt s.th. from Andreas set to use on my one: The geatly stable rear wheel toe value of +0.150.., keeps rear very stable without being too much understeery. as usual every Thursday 'are on duty, run by ambulance , if all goes well finish at 22, can I participate in the second session as a spectator? Here is my Setup I used for a 1.40.377 lap. I lost a bit the cars rear in Aque Minerale what made me go OVER the green tarmac with two wheels, so the lap can be invalitaded if necessary, but I am sure without going over the green tarmac it would have been a good lap, too. Thats why I share the setup, it is a bit of an evolution of the Setup from Andrea, which I made quicker to steer. very important for tomorrow race: give space on the chicanes. That's right, there is no space for two cars side by side in the chicane, so I always slow down much more and leave space there when side by side with another car before the chicane. @Vincent: I think quite everyone is going a bit wide there at aque minerale, especially with a low downforce setup. As long as you still touch the green tarmac that may be ok still. If it is a big advantage or not depends more on the driving line on the tarmac, not just on the fact of going wide for just a moment, -so just don't use all of the tarmac in every lap and drive over it on the left side the whole section, which would be kind of cutting -especially in a race if someone exaggerates the limit this way in every lap. Andrea, can you please clarify this for the race and especially Qualifying ? I don't know many of the corner names at any track , I just was talking about turn10, the turn before chicane. Don't know if it is called variante alta or aque minerale . Will have a look at some track map. this is all ok. I see everyone going onto the green sections, so everyone can do so to have no disadvantage -at this track at least. No need to be too pedantic at this great track. Guys a low 40 or even a high 39 isnt possible without excessive cutting. Thats the reason i asked about it here. I understand though that its not possible to monitor every racer during quals and race. My low 40 came from cutting both the Acque Minerale and at Variante Alta. The above are my sets for this combo also.Mine are based of Andreas set,i did some mods to suit my driving style. At variante alta after turn12 you are allowed to use all of the tarmac, so it is no cutting there if you do just use the tarmac there.. as long you are not driving (cutting out) that chicane over the gras . At aqua minerale just try to stay on the green tarmac at least and do not cut much more than that -this was the rule in a previous Abarth race there- or better still touch the curb of course. I have the replay, I think it is not kind to suspect someone to cut corners before asking, etc. If you want I will upload the replay. But for Acque Minerale i think that we should keep the car in the green stuff. Vincent Buccarello wrote: I have the replay, I think it is not kind to suspect someone to cut corners before asking, etc. If you talk to me Vincent,i never implied that you cheated.Im kind enough and i asked about it,in order to practise correctly.If you get offended of my questions then sorry. But please dont tell me that a low 40 is possible without cutting those 2 corners cause i know that its not possible. 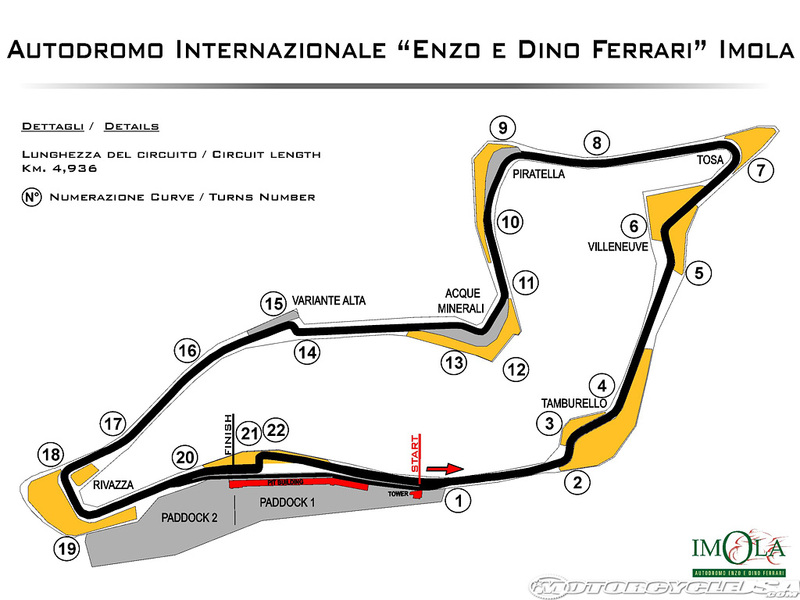 Andrea Lojelo wrote: very important for tomorrow race: give space on the chicanes. Andrea just a question:isnt the car inside -to the left- allowed to take the corner and the car in the outside -to the right- yield? ok Chris explained me about so ignore the above post! @post No.41: Yep, that behaviour there should be all ok, I think, -just regarding this track. don't worry. it wasn't you. It was someone at T1 that did exacly like in the picture. Good that happen, so I could clarify this here. Ciao a tutti! Mi sono appena registrato.Mi piacerebbe partecipare se possibile alla gara di domani. So the rule of only 2 tires on green extensions is not applied for tomorrow? no. we will keep it simple. People should drive responsibly, and don't aim to go faster going to the limit of the allowed rules.